Nu Naat There are 25 products. 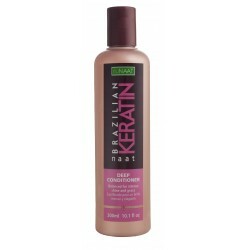 The NAAT Brazilian Keratin Deep Moisturizing Conditioner contains high-capacity conditioning ingredients to make detangling a breeze. 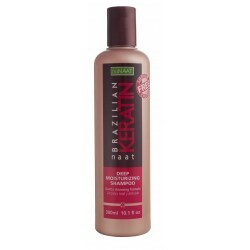 The NAAT Brazilian Keratin Liquid Keratin Leave-In Reconstructor is a leave in - non-rinse formula. 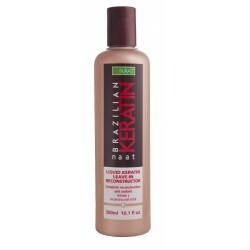 The NAAT Brazilian Keratin Deep Moisturizing Shampoo is prepared sodium chloride free. NAAT Brazilian Keratin Serum Ultra Shine contains our special silicone formula that creates a film that protects hair against environmental damage, keeping it moisturized and providing extra conditioning, more shine and increased flexibility. You can apply this to your wet or dry hair, evenly distributing a small amount, as often as desired. (32.5 oz) NAAT Cream Argan Oil & Macadamia is ideal for dry or frizzy hair. Specially formulated as a deep conditioning treatment for long-lasting frizz control. 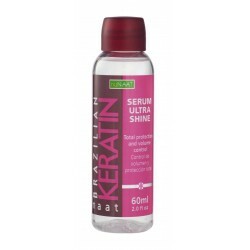 Replenishes moisture and restores hair’s natural shine and softness. NAAT Cream Avocado Oil & Fruit Complex is ideal for dry or damaged hair. Specially formulated to repair cuticles and nourish hair, leaving it shiny, silky and completely revitalized. Detangles hair, making it easier to comb and style. 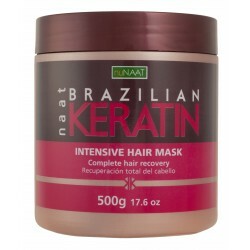 NAAT Cream Brazilian Keratin is ideal for chemically-processed hair. Specially formulated to regenerate and strengthen hair fiber, restoring hair’s shine and flexibility. Long-lasting effects leave hair looking softer and healthier. 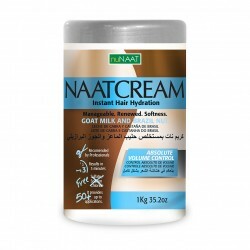 NAAT Cream Buriti & Ceramides is ideal for color-treated hair. Specially formulated to restore vitality and prevent color fading, leaving hair completely nourished for a shiny, silky look. 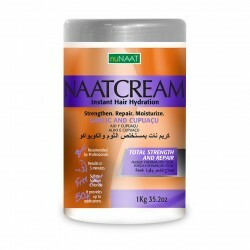 NAAT Cream Garlic & Cupuacu is ideal for brittle hair. Specially formulated to strengthen and repair cuticles, leaving hair softer, healthier and completely revitalized. The perfect treatment for split ends. 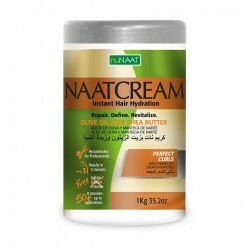 NAAT Cream Olive Oil & Shea Butter is ideal for curly or frizzy hair. Specially formulated to repair and revitalize, while maintaining the hair’s natural oils. Provides hair with enhanced moisture, leaving curls silky and well-defined.